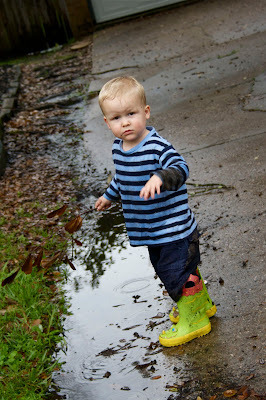 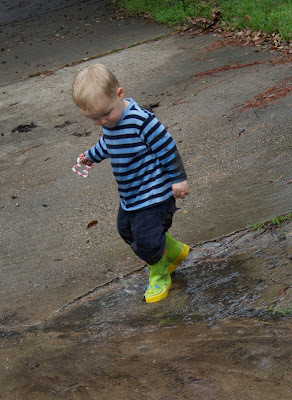 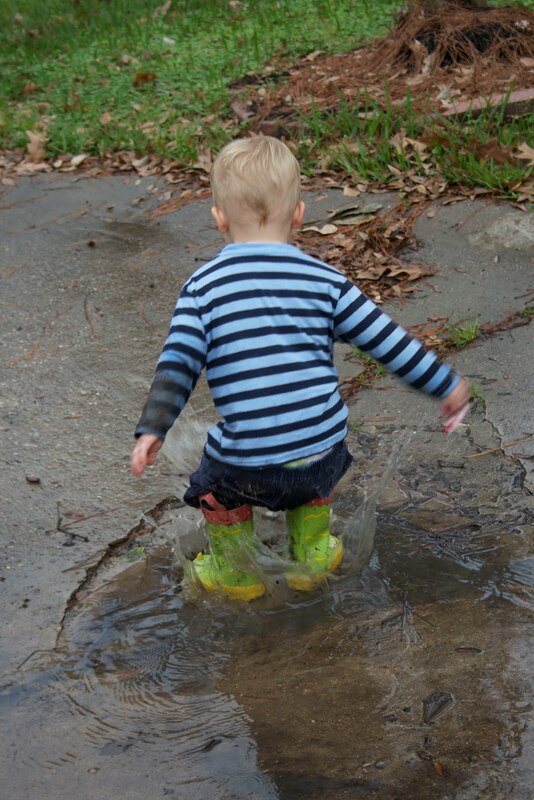 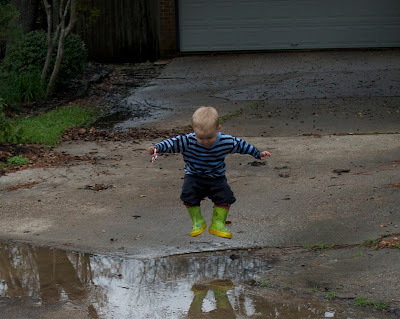 Just like his big brother, Henry loves a good puddle...Oh, how I love being a mommy of boys! 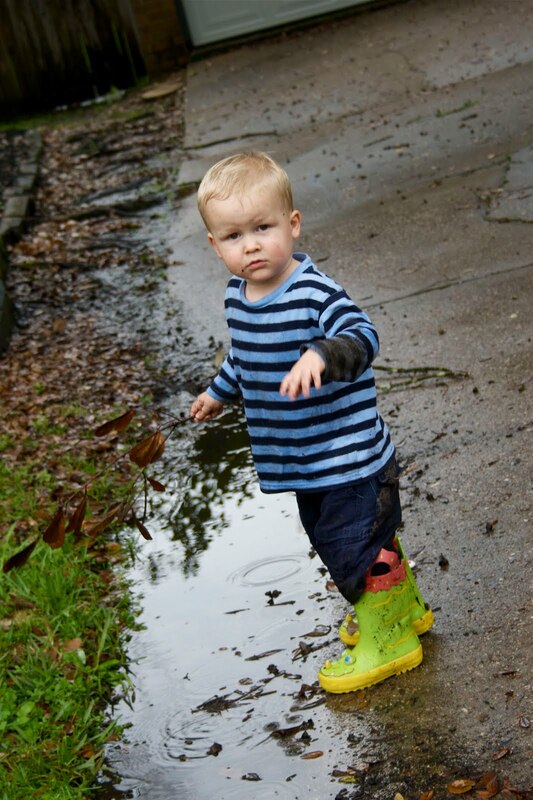 That is one cute boy! I love the mid-air picture! !